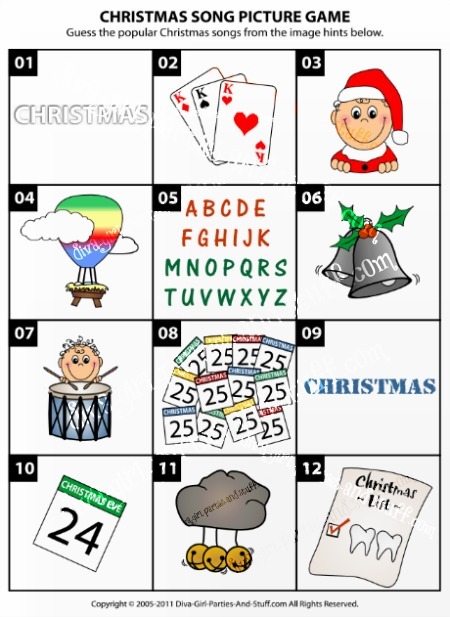 This Christmas carol game will challenge your knowledge of synonyms and popular Christmas song titles. 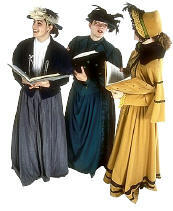 The names of familiar Christmas carols have been changed to fun, alternative and descriptive titles. 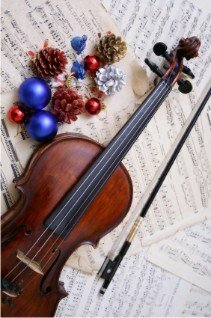 You'll undoubtedly find this to be the perfect Christmas carol quiz for your adult Christmas parties, including office Christmas parties, church Christmas parties, family Christmas functions and more. 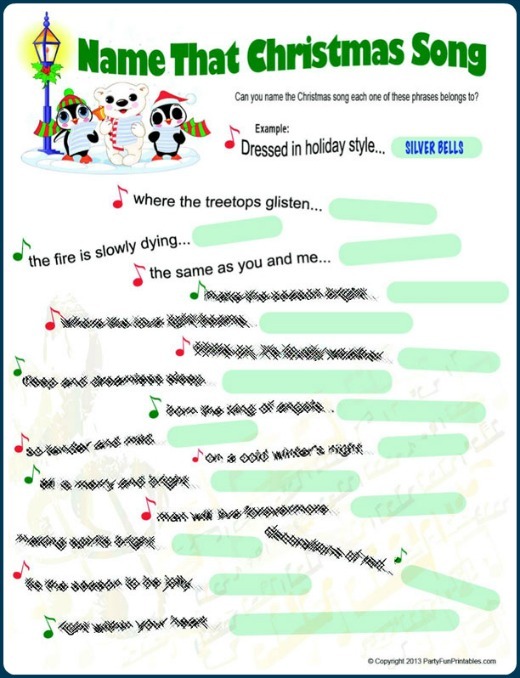 Read each title aloud and award a small prize, like a Christmas Hershey's Kiss or a chocolate bell, to the first person to guess correctly, or hand out the list and see which one of your guests can guess the most in a given amount of time and award one larger prize. 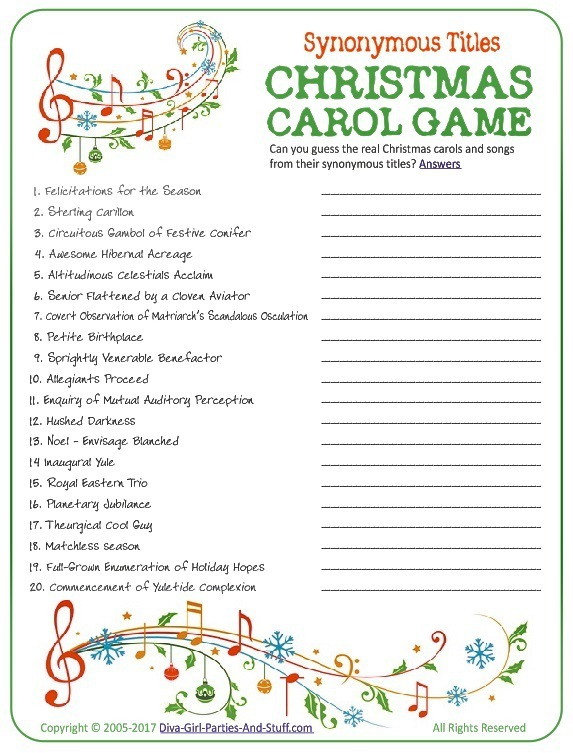 Request your free printable version of this Synonymous Titles Christmas Carol game by using the form below.